An extra £3 billion to prepare for Brexit over the next two years and a vision of an economy that is ‘fit for the future’ were at the heart of the Chancellor’s Autumn statement. 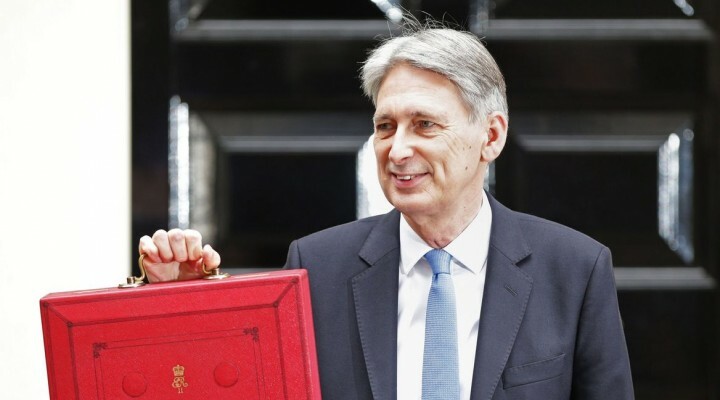 And despite downgrading growth and productivity forecasts, after public sector net borrowing hit £8bn in October, Philip Hammond announced a raft of new investments. Alongside the £3bn set aside for Brexit, he plans to inject £6.3bn into the NHS and £500m to support emerging technological development, such as Artificial Intelligence. Housing is also in the spotlight, with £15.3 billion new financial support for house building over the next five years, with the Government setting aside £1.2 billion to buy land and £2.7 billion for related infrastructure. The Government also announced plans to create five new so-called ‘garden’ towns, and a headline-grabbing cut in stamp duty for first time buyers. Stamp duty is currently paid on property purchases over £125,000, with a ‘slice’ tax where buyers pay at the relevant rate for each band, rather than a flat rate across the whole amount. With immediate effect, stamp duty is abolished for first-time buyers on properties worth up to £300,000, or on the first £300,000 of a property worth up to £500,000. For the NHS, £3.5 billion of new funding has been made available for upgrading NHS buildings and improving care and a further £2.8 billion has been set aside to support improvements in A&E performance and to reducing waiting times for patients. In areas focused on supporting small business, the switch to link business rates to the Consumer Price Index, instead of the Retail Price Index, has been brought forward by two years, with the Government saying businesses will save £2.3bn as a result. There will be retrospective legislation to tackle the so-called ‘staircase’ tax, which had affected the business rates bill for many small businesses in communal offices, with those having more than one office linked by a communal lift, corridor or staircase being charged more. Also, the VAT threshold at which registration is required will remain at £85,000, but alongside there will be a crack-down on VAT evasion online, with greater powers to make online marketplaces responsible for the unpaid VAT of their sellers. Other initiatives to tackle avoidance and evasion risks will see new technology for HMRC; new global rules to force the disclosure of certain offshore structures to tax authorities; and a change to international corporate tax rules to ensure globally-operating digital companies pay a fair amount of tax. If you would like further information, please contact a member of the residential property team.